Every month we have a lunch together as a company, usually on a Friday. We talk about the projects that we’re working on, challenges, goals, etc. 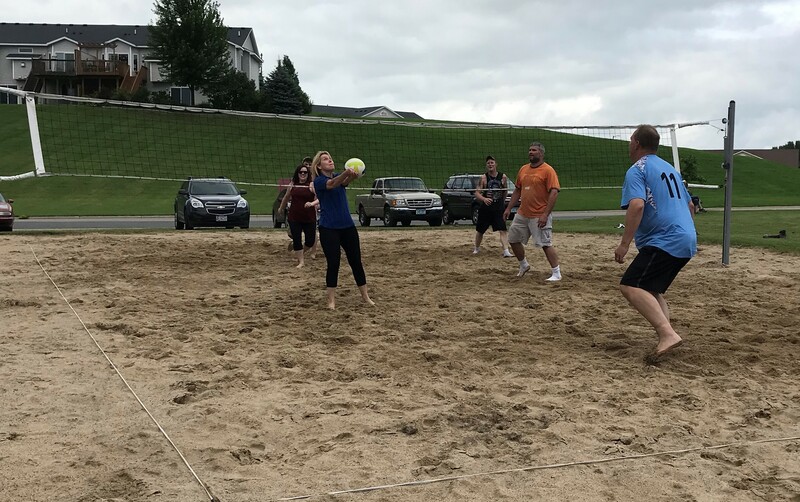 Sometimes this monthly lunch can turn into smack-talk regarding certain softball teams… however for our June lunch last week it dissolved into not softball, but an impromptu volleyball game at a nearby park. It’s important to us to work hard and play hard. Family is important to us too, even some of our youngest cheerleaders showed up!